2016 CD Releases Only $10! Now that the holiday gift-giving season is over, it's time to treat yourself! 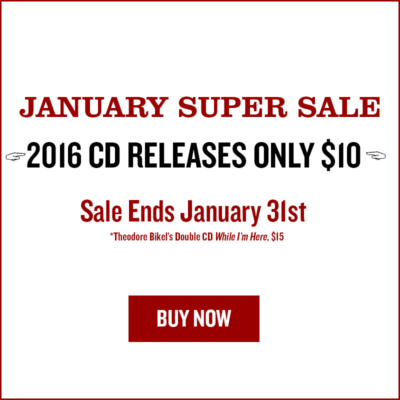 Our January Super Sale is on and our 2016 CD releases are only $10* through the end of January. *Theodore Bikel – While I'm Here, specially priced at $15. Click here to place your order or give us a call at 800-695-4687 and we'll be happy to take your order or make recommendations.